I’ve made no secret of my never ending journey to find the products that will give me the perfect hair. Whilst Philip Kingsley’s Elastisizer will forever hold a special place in my heart for the wonderful things it does to my hair, it’s an expensive addiction and not in everyone’s price range. If you’re looking for a hair mask that will transform your hair overnight, then I think I’ve found a dupe for you. 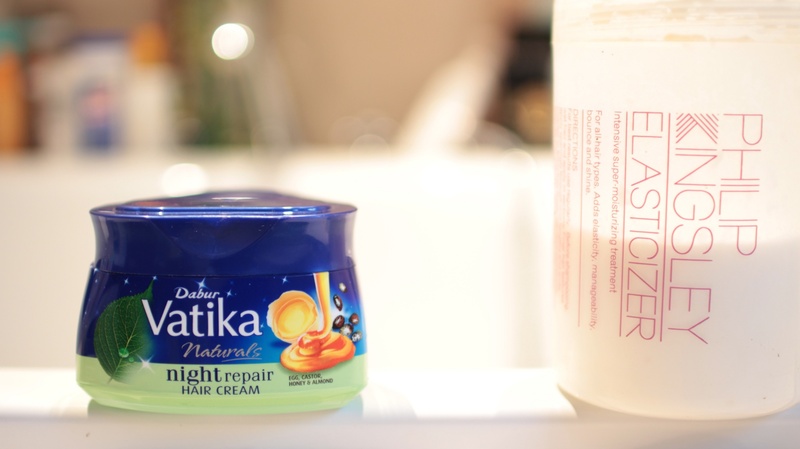 Vatika is brand well known to Indian and Pakistani girls – we’ve grown up with the oils, had it slathered in our hair since childhood and we come back to it again and again for it reliable hair moisturisation. 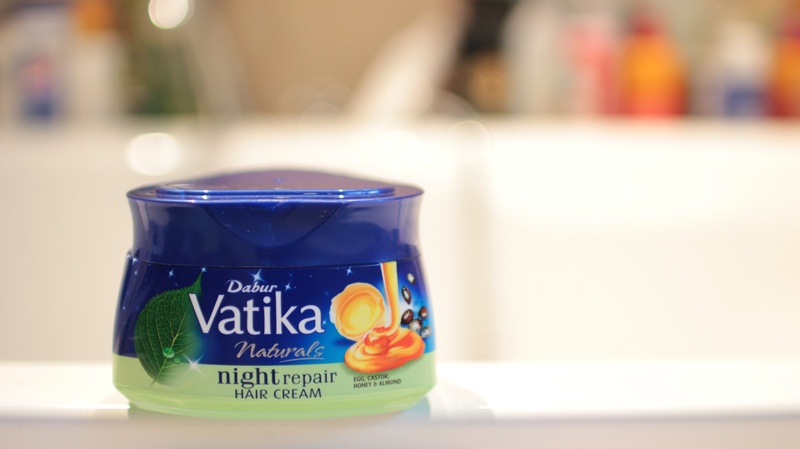 Now those clever people at Vatika have come up with a cream version, the Dabur Vatika Naturals Night Repair Hair Cream, which applied overnight, literally revives, moisturises and conditions. Apply at night (to dry hair, unlike the Elastizer), concentrating on the damaged parts, (that’s the mid lengths and ends for me), wash out in the morning and you’ll have the softest, shiniest hair imaginable. And you haven’t had to sit around waiting for the mask to work – you’ve been sleeping while it’s done all the hard work for you! You’ll see a couple of parabens listed in there, (as does the Philip Kingsley Elasticizer), so steer clear if you don’t use anything with parabens. Previous Post How Much Would You Pay to Keep Your Brushes in Great Condition? Next Post Getting Glossy(box) with Harvey Nichols L.E. So pleased it worked for you Claire! Sometimes you just don’t have to spend a huge amount to get the results you want!